After decades of combat, the man called Cable has fallen in battle! 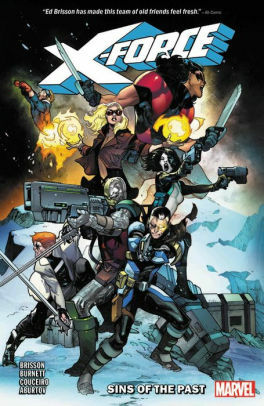 Now, Cable's original X-Force team of Domino, Cannonball, Shatterstar, Boom-Boom and Warpath reunite to hunt down his murderer and avenge his death! The '90s mutant militia is back, teeth gritted and hot for blood...but when their target is a time-traveling younger version of Cable himself, is there a line that X-Force absolutely cannot cross? And what does Deathlok have to do with all of this time-traveling insanity? A reckoning will come...and if X-Force is lucky, they just might survive! It's an all-new, high-octane mutant adventure as only the original X-Force can deliver it!